Check out what kept us busy this June. This Newsletter contains the most worthy developments and events of the OpenNebula project and the community during this last month, and the plans for the upcoming months. We want to remind our users that OpenNebula Systems, the company behind the OpenNebula Project and vOneCloud, has established a new subsidiary to oversee all business operations and to support the OpenNebula community in the U.S. If you are interested in supporting the US OpenNebula community or contact us, let us know. The OpenNebula team is not fooling around with the 4.14 release. We are settling on a code name for the release (do you like ‘Dark Horse’? ), and meanwhile adding an impressive array of features. Probably the main highlight is the new snapshot management feature, that will let perform disk snapshots and maintain a history of them. The initial support would be only for Ceph (it is our storage backend of choice for medium to large deployments after all, read our reference architecture), and qcow2. OpenNebula will be aware of snapshot sizes, and allow to enforce quotas and also to report consumption via the accounting mechanisms. Pretty neat, is it not, hosting providers? Another big highlight would be the inclusion of a new type of consumable, GPU. A VM would be able to consume GPUs, using PCI passthrough, to gain exclusive access to GPU PCI cards. Pretty neat, is it not, research institutions and supercomputing centers? Sunstone is being reworking behind the scenes, and although final users will only notice minor changes in the GUI, rest assure that this is a very important feature for the future of Sunstone. Keep an eye on it! Other features we are working on is image resizing (finally), system datastore flush for maintenance, import VMs capabilities for hybrid hosts, improved fault management with the inclusion of new VM state transitions (no VM left behind), improvements in the network context management, and many more. As mentioned before, we are not fooling around with Dark Horse, be sure to be ready for the beta version due at the end of July. This month, a new set of contextualization packages was also released, with several nifty additionals like the ability to pass scripts directly to be executed at boot time, without having to create them first in the files datastore. A new version of the drop in replacement for vCloud, vOneCloud, was also released. vOneCloud 1.6 comes with several improvements, like capacity resizing, resource pool confinement, improvements in VNC, and more. Make sure you update using the awesome one click updated. Keeping a healthy community is key for an open source project. The OpenNebula community is growing every day, contributing new pieces to an already rich ecosystem. For instance, StorPool integration with OpenNebula is performed as a new datastore driver in OpenNebula. OpenNebula persistent and non-persistent images are stored in a StorPool cluster, and OpenNebula controls and monitors the StorPool cluster. An important contribution worth noted is on the works, promising to bring LCX support to OpenNebula. User stories are also good addition to a project credibility. OpenNebula has been around for a while now, but we still are moved by our users from time to time when they decide it is time to announce to the world they use OpenNebula in their infrastructures. For instance, like Teledata did this month. OpenNebula it turned out to be the most mature and proven Cloud-Stack available – lacking of unnecessary complexity or unneeded overhead. And it is also nice to see how OpenNebula is being recognised as a solid alternative to commercial virtualization software. In this case, as an alternative to vCloud Director. OpenNebula API is also being consumed by other components of the ecosystems to create amazing things like automated power management on opennebula based infrastructures, like the new release of CLUES. The upcoming third edition of the OpenNebulaConf will be held in Barcelona this October 2015. Your company may be interested in the sponsorship opportunities for OpenNebulaConf 2015.We already have a number of sponsors, so if you are interested let us know as soon as possible. As platinum sponsors, we have PTisp; as gold sponsors ungleich (check out the post announcing it), NodeWeaver (check out the announcement) and XenServer; and as silver sponsors Runtastic and no-limit-network (announced here). This month the OpenNebula project organized an OpenNebula TechDay in Cambridge Massachusetts , at the Microsoft New England R&D Center, organized by the HPC & GPU Supercomputing Group of Boston and sponsored by Microway. Next month, OpenNebula TechDays will be happening in Paris, France on the 8th of July, organized by IPPON Hosting. Two days after, on the 10th, another TechDay will happen in Ontario, Canada, this time organized by our long term users, BlackBerry. If you are interested in helping us organize a Cloud TechDay in your area, go ahead and contact us. An excellent event developed in Bern last 16th of June, the Open Cloud Day. You can read here their article in ungleich blog, thanks guys for organizing this interesting event. If you are interested in receiving OpenNebula training, check the schedule for 2015 public classes at OpenNebula Headquarters. Next public OpenNebula training will take place next 16th of June in Madrid. Please contact us if your would like to request training near you. PTISP and OpenNebula, a Success Tale. PTISP, one of the largest hosting provider and domain registrars in Portugal, is honoured to announce another strategic partnership, OpenNebula, the shared vision of an enterprise-class cloud data center management sealed this joint venture. The pursuit of a more efficient way to manage the companies IaaS cloud solution led PTISP to deploy OpenNebula in its infrastructure and commercial offer. PTISP is a Portuguese based company that sets the trend of innovation and development. Established in 2001, PTISP is one of the biggest .PT registrars, managing two data centers in Portugal, with 700+ servers installed and 27.000+ websites hosted. PTISP is a reference company insuring the trust and loyalty of International and Portuguese companies from several areas using mainstream and custom solutions, insured by state of the art hardware, continuous improvement policies, and a multi-disciplinary tech team that is available 24/7/365 to their customers. OpenNebula ensures a enterprise-ready solution, widely used in research and industry (such as ESA, Unity, Akamai, BlackBerry, and many others), to build and manage clouds and virtualized data centers, and a powerful open platform for innovation, used in many international projects to research the challenges that arise in enterprise cloud and data center management. PTISP chose OpenNebula due to its unique features, revealed to be a trustworthy partner, enabling a custom solution that integrated with all the multiple technologies that are a part of PTISP’s universe. PTISP will be present as a Platinum Sponsor on the OpenNebulaConf 2015, next October at Barcelona. Drop by our booth to visit us and exchange all the experiences around OpenNebula and PTISP. Check out our CTO’s, Pedro Dias, presentation on our partnership and experience named “An OpenNebula Tale” that will take place on the 21st of October at Hall A, between 10:40 and 11:00.
https://opennebula.org/wp-content/uploads/2018/11/opennebula_cloud_logo_white_bg-4.png 0 0 Luis Inverno https://opennebula.org/wp-content/uploads/2018/11/opennebula_cloud_logo_white_bg-4.png Luis Inverno2015-06-30 09:47:032015-06-30 09:47:03PTISP and OpenNebula, a Success Tale. We are excited to announce that BlackBerry will host our first ever Cloud TechDay in Canada. The TechDay will be held on the 10th of July in the BlackBerry Offices in Waterloo, Ontario Canada. The TechDay will be a full day event to learn about OpenNebula with a hands-on cloud installation and operation workshop, and presentations from community members and users. Chris Johnston, Principal Platform Architect in the Cloud Team at BlackBerry Limited, and Khoder Shamy, Principal Technical Lead in the Cloud Team at BlackBerry Limited, will present the use-case of OpenNebula at BlackBerry that facilitated building a large multi-regional and multi-tenant private cloud for internal service loads. See the Agenda for more details. If you want to actively participate in this event, share your experience with OpenNebula or describe other related cloud open-source projects and tools, send us your talk proposal at events@opennebula.org. We hope to see you there, and a big thanks to BlackBerry! 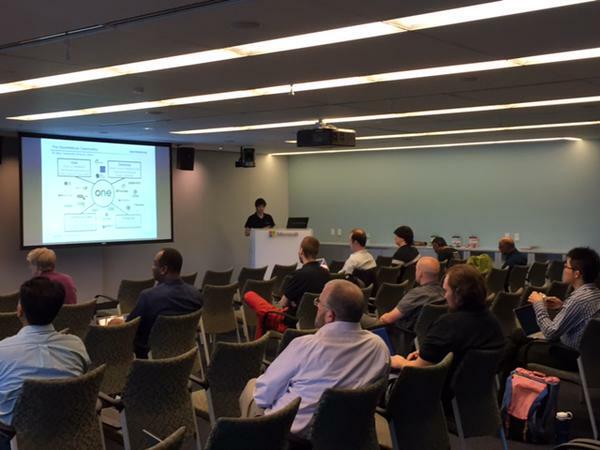 OpenNebula Cloud Tech Day on the 29th of June in Cambridge, MA, at the Microsoft New England R&D Center, organized by the HPC & GPU Supercomputing Group of Boston and sponsored by Microway. OpenNebula Cloud Tech Day on the 8th of July in Paris, France, organized by IPPON Hosting. Storage has always been the single most complex and expensive asset in any company that builds clouds, provides cloud services or manage its own infrastructure. Companies are in constant search of reliable, scalable, simple and affordable storage alternatives. We are happy to announce that we have a new storage system which is now integrated and available to OpenNebula users: StorPool. StorPool is block-level, distributed storage software. It runs on standard servers and builds a fast, scalable and reliable shared storage system out of these servers. StorPool is incredibly flexible and can be deployed in both converged setups (on compute nodes, alongside VMs and applications) or on separate storage-only servers. StorPool was designed from scratch to deliver the fastest and most-efficient storage solution possible. It eliminates the need of traditional SANs and all-flash arrays (AFA). Because of it’s performance, flexibility and unmatched efficiency (taking minimal resources on the servers), it is preferred choice to other storage software (like Ceph), when it comes to building high-performance block-storage systems. 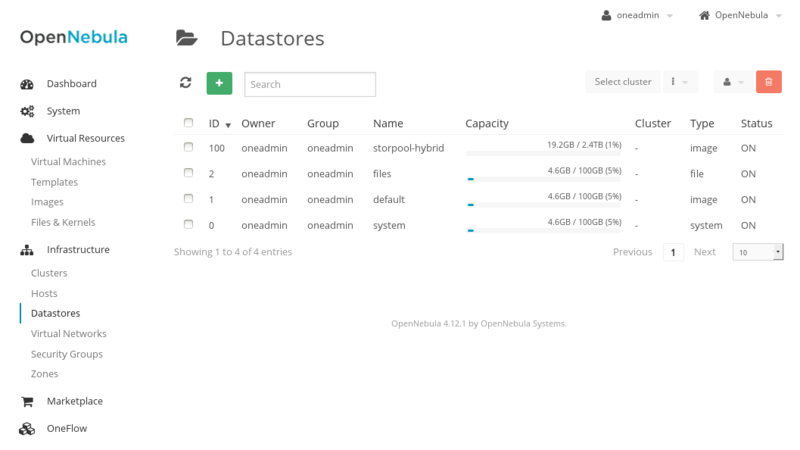 The integration between the two systems is performed as a new datastore driver in OpenNebula. OpenNebula persistent and non-persistent images (virtual disks) are stored in a StorPool cluster with the expected high level of reliability and performance. 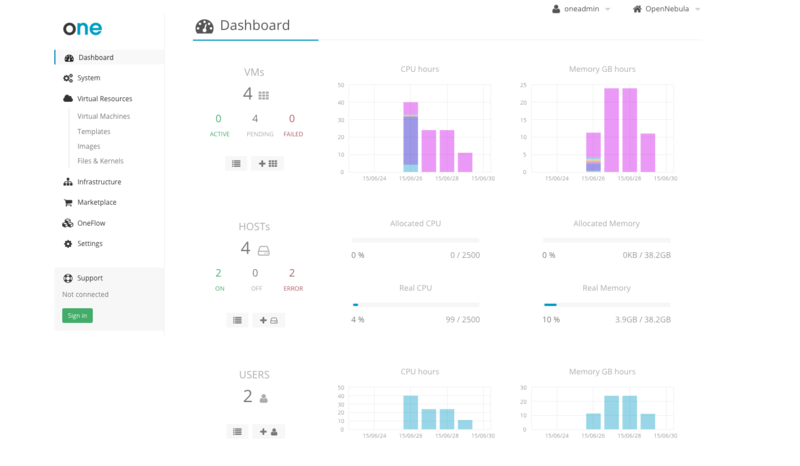 OpenNebula controls and monitors the StorPool cluster. For example, when you create a VM in OpenNebula, it instruct StorPool to create a new volume for the VM, which may be based on a ONE template. When a ONE template is being imported it goes directly into the StorPool image data store. With StorPool, your OpenNebula cloud gets exceptional storage bandwidth, IOPS and latency, enabling you to provision many more VMs per host. Combining both products allows for seamless scalability in capacity and performance as well as increased reliability. To learm more about StorPool or get a free test version of the product visit: www.storpool.com or contact them at info@storpool.com. TeleData is a regional internet service provider founded in 1997 with headquarters located in the City of Friedrichshafen in the South of Germany. The company offers a wide range in telecommunication solutions and builds its own fiber optic internet Backbone network. One of the core values of the company is to be a premium full service provider which generates its Internet, Webhosting, Telephony, TV, Fiber Access and Cloud services within its own three datacenters and is operated by a young team of specialists. TeleData runs several OpenNebula installations since late 2011. Different cloud stacks such as OpenStack, Proxmox, Eucalyptus, CloudStack among others have been tested within its laboratory premises. Not to mention OpenNebula,which is quite impressive. In 2013 TeleData’s Infrastructure was built completely from scratch – with the best breed technologies as a Service (IaaS) platform. In the case of OpenNebula it turned out to be the most mature and proven Cloud-Stack available – lacking of unnecessary complexity or unneeded overhead. In the last two years TeleData has been developing a regional IaaS-Cloud spanning across three Datacenters offering virtual Servers and virtual Datacenters for its customers. OpenNebula is today’s central computing platform at TeleData. Services like E-Mail, DNS and Webhosting were backed (supported) by the TeleData Cloud – with OpenNebula as main structure for thousands of customers. The Automation of all cloud operations is established with Puppet and The Foreman. 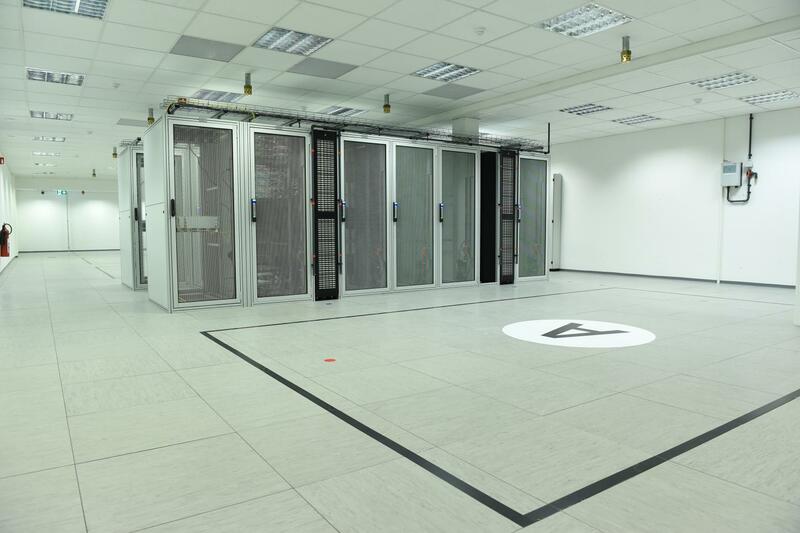 HP Servers were chosen as Hardware for the OpenNebula Clusters, Cisco 10 Gigabit Networking and NetApp Storage. The virtualization Hosts are operated using Debian GNU/Linux, Linux QEMU/KVM and OpenVSwitch – every Server and/or virtual Datacenter has its own 802.1Q VLAN and an official IP-Subnet including a strong internet uplink, provided by our peerings at DE-CIX and AMS-IX. OpenNebula worked just right out of the box – there were only a few simple modifications necessary to reach the best performance and reliability levels. For example, a “Host-Failover Hook” was created to ensure the proper functioning of STONITH/Fencing in case of a hosting error. The “live-migration” Drivers were modified for optimal performance. Another example is the optimization of the OpenVSwitch – for maximum security and performance (VLAN isolation, monitoring). The next step will be a major change in the storage level – the plan is to remove the NetApp Storage Systems and replace them with Ceph, a redundant Object Storage. The integration of OpenNebula and Ceph is working according to plan in TeleData´s Testlab. For TeleData, the sun is shining through the “Clouds” with OpenNebula. A new version of OpenNebula context packages is out. Don’t be fooled by its version number. Even if it’s 4.14 is compatible with previous versions. There’s only one feature that needs OpenNebula 4.14 support. When context finds one of these variables it creates a new file that contains its value. Sets the executable bit, changes the directory to the context CD mount point and starts it. As it is executed by the context scripts all the variables in the context section are set in the environment. The script does not need to be shell script, you can add a shebang and execute python, ruby or even binaries! (not recommended). START_SCRIPT="yum update; yum install epel-release"
The other feature that requires the next version of OpenNebula is a new command to make the usage of OpenNebula gate easier. But we will talk about this in other post. Go and download the new version while it’s fresh! 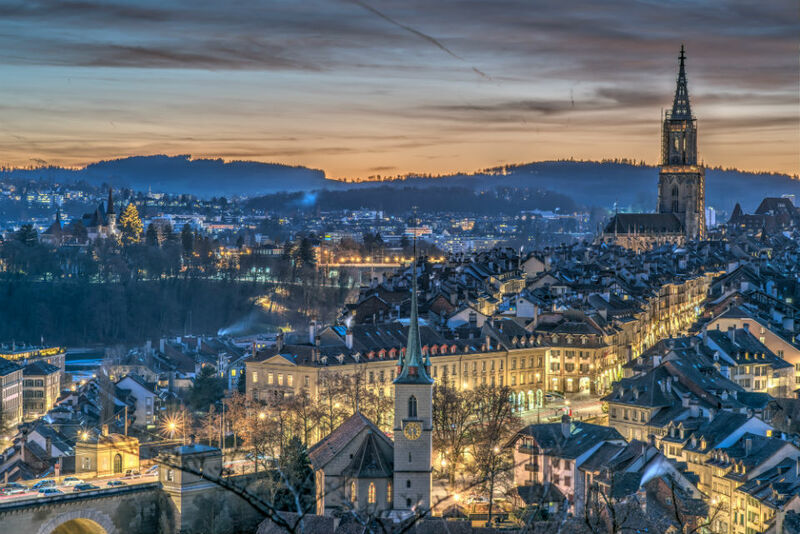 This gigant workshop, featuring OpenNebula, Openstack and Cloudstack technologies is happening this Tuesday, 16th of June 2015 in Bern at the Open Cloud Day. The first time in Switzerland (and maybe world wide) for a friendly meeting of cloud provider experts. Participants will learn what are the possibilities and advantages of every system and have the opportunity to discuss with the experts in the evening. Nico Schottelius, CEO of ungleich GmbH (Linux infrastructure & application hosting company based in Switzerland) will give an advanced workshop on cloud management with OpenNebula for DevOps. Schottelius, the author of the innovative configuration management system “cdist”, is a judge of the Open Source Awards in Switzerland. Schottelius also teaches computer science at the university of applied sciences ZHAW. We want you to know that OpenNebula Systems has just announced the availability of vOneCloud version 1.6. This new release of the appliance, tailored to ease the provisioning of resources from vSphere based infrastructures, comes packed with exciting new features. In vOneCloud 1.6 is now possible to define virtual machine capacity, in terms of CPU and Memory presented to the guest OS, changing this value from the vCenter Template at the time of cloning a new Virtual Machine. Along this line, it is also possible to resize the capacity of a Virtual Machine after deployment. Moreover, it is also possible to confine vOneCloud users on a particular vCenter Resource Pool, making it possible to enforce company security policies by reducing the rights of the needed credentials by the appliance and also offering to vOneCloud users a subset of all the available hardware resources controlled by vCenter. In order to facilitate the customization of Virtual Machines, in terms of configuring software packages and perform any generic administration task at guest OS boot time, vOneCloud introduces the ability to run any script at boot time, using a new set of contextualization packages. Improvements are also offered in the VNC connection capabilities, to accommodate foreign keyboards. The above features and components add to the already present ability to expose a multi-tenant cloud-like provisioning layer through the use of virtual data centers, self-service portal, or hybrid cloud computing to connect in-house vCenter infrastructures with public clouds. vOneCloud seamlessly integrates with running vCenter virtualised infrastructures, leveraging advanced features such as vMotion, HA or DRS scheduling provided by the VMware vSphere product family. vOneCloud is zero intrusive (although it fully manages the life cycle of VMs), try it out without the need to commit to it. If you happen (as strange at that may be!) to don’t like it you can just remove the appliance. OpenNebula Conf 2015 is getting closer and we would like to keep sharing with you the companies/projects that are sponsoring this year’s conference. Now it is time for NodeWeaver, as part of our Gold Sponsors. If you want to participate in OpenNebula Conf and meet NodeWeaver and other OpenNebula users, remember that you are still in time for getting a good price deal for tickets. Also, if your company is interested in sponsoring OpenNebulaConf 2015 there are still slots. Last week we announced the first Sponsor for OpenNebula Conf 2015. Now it is time for No Limit Network, as part of our Silver Sponsors. If you want to participate in OpenNebula Conf and meet No Limit Network and other OpenNebula users, remember that you are still in time for getting a good price deal for tickets. Also, if your company is interested in sponsoring OpenNebulaConf 2015 there are still slots. Created in 2013, located in Clermont-Ferrand, France, No Limit Network has already proved its reliability. Our business is focused on your needs and demands. The best way to do so, is to build with you a long term collaboration. We deliver the OpenNebula platform and added our own marketplace to provide customized and personalized applications. We can ensure you to adapt your applications to OneFlow system. We can provide fully managed and monitored solutions from simple to more complex workflow. We are IT experts as well, so we are able to help and advise on your settings improvements or application development. Member of RIPE NCC, independant, we are providing a different and customer-centric Cloud vision.